Elipta outside lights function when the natural light begins to fade but remain aesthetically pleasing during daylight hours enhancing the overall appeal of the garden path, decking and driveway. 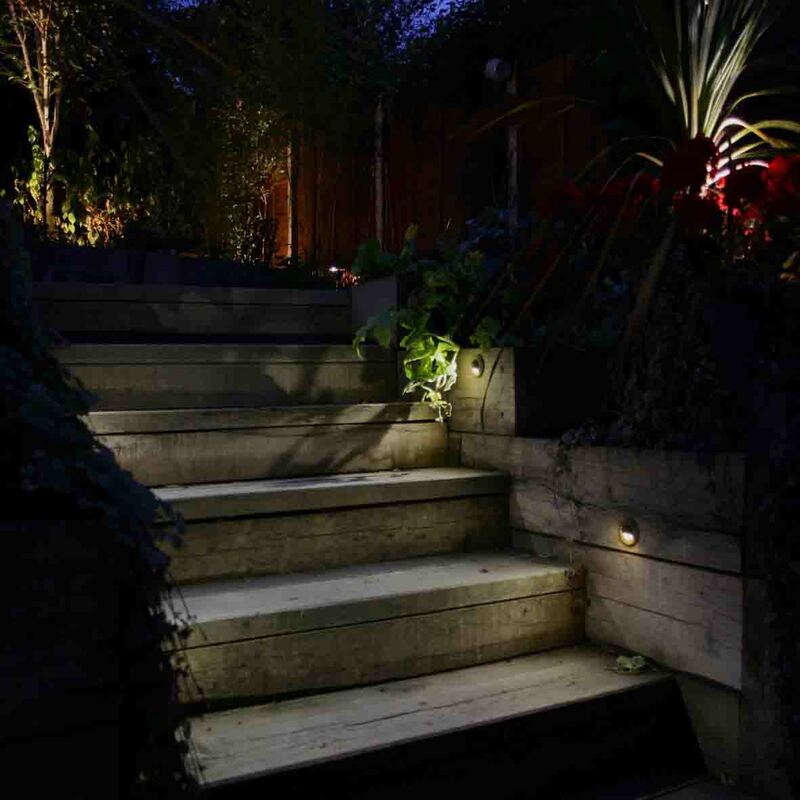 Elipta garden lights are constructed from heavy raw materials including; solid brass, recessed and surface mount step lights, mottled brown, natural copper spreadlights, rock solid granite outdoor post lights, teak garden bollard lights for path, bronze outdoor step lights and 316 stainless steel decking lights. Our natural copper and chrome spreadlights shield the lamp from view for low-glare path and step lighting. For functional and more organic looking outdoor lighting, Elipta Teak garden bollard lights weather naturally in the garden and provide ‘higher-brightness’ lighting around driveways. The copper, black and stainless steel compact bollard lights make great outdoor post lights. And not forgetting driveway lights; Stainless steel Waymarker drive over lights recessed along an entrance path or drive act as stunning exterior lights as well as providing a warm and helpful welcome to guests. Patio lights and LED garden lights help to extend the use and enjoyment of your garden setting. Elipta garden lights are all compatible with dimming control switches (with the exception of some built-in LED fittings) timer and movement sensors (click here to find out more about controlling your garden lights) or call 01462 486777 for free technical advice.